Product prices and availability are accurate as of 2017-05-05 07:46:45 BST and are subject to change. Any price and availability information displayed on http://www.amazon.co.uk/ at the time of purchase will apply to the purchase of this product. 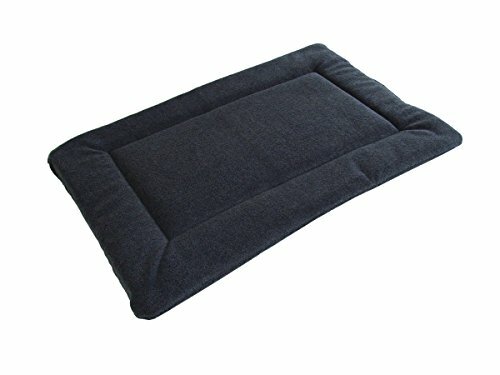 PnH® Grey Polar Fleece Quilted Dog Pad, Cage/Crate Mat - Medium - 76cm x 89cm. Provides Comfort For Your Pet Around The Home Or In Cars, Caravans, Tents, Crates And Cages. Reversible - Same Design On Reverse. Fully Machine Washable At 40 Degrees, (We Recommend Our PNH ODOUR ELIMINATING DETERGENT). Many More Colours And Sizes Available In The Pet n Home Range. Please Note - We Try Our Best To Ensure The Colours Are Exact But Due To Different Computer Settings, Some Shades May Vary.